When James Stevens recollects his five-year-old self visiting Haymarket, home of Sydney’s vibrant Chinatown, it’s as if he’s describing a kid in a candy store. “I loved the buzz of the old markets [at Chinatown] in the early mornings — the colours, the fragrances and all the characters that make up a marketplace — those are my fondest memories as a kid,” says the founder of Roses Only. Born into a family of florists, the 53-year-old obviously grew up among colourful, sweet-smelling treats — albeit the kinds you can’t eat. Stevens has had the advantage of training his senses to appreciate and spot the perfect stems from a young age during those marketing trips, even helping with the procuring of petalled paraphernalia for his dad’s circa-1964 flower shop located at Town Hall Station. But nothing quite prepared the Aussie accounting graduate for the time when he needed to source only the best blooms to put forth on his own e-commerce venture, Roses Only, which has the plucky promise of offering “the Tiffany’s of flowers”. Though it’s a straightforward job, the initial dealings were — excuse the irony — no bed of roses, as Stevens had to find and fight for the right growers, wholesalers and distributors. His “trial and error” quest for quality — meaning longer stems and bigger heads — led Roses Only beyond Australia to start importing products from Colombia, Ecuador, Kenya, Holland and many other parts of the world. Now, the global company employs approximately 100 people and serves customers from the US to the UK, Singapore and more. And it all started with a five-year-old boy who lived and breathed flowers more than anything else. What attracted you to the flower business? I was just immersed in the industry, from attending the markets to displaying and selling our flower purchases in [the family] stores. I just loved being able to help my dad. I was blessed with an amazing father who would in turn do anything for me. I learnt all about quality at a fair price, and to pay promptly, from my dad. Amazing what you can save by simply paying your bills on time. Being an online floristry business, how did you managed to earn customers’ trust? Roses Only initially had brick-and-mortar stores and then proceeded to go online. In fact, it was physical stores first, then a call centre taking telephone calls for orders, then we went online in 1998, exactly 20 years ago. I believe the Roses Only brand, which started officially in 1995, was trusted well before going online, and by simply continuing to deliver amazing quality and offering exemplary customer service, we were automatically trusted with our online offering. What prompted you to go online in 1998? Just seemed like the right time. Could have gone live two years prior but held the trigger for as long as possible. Australia was just starting to invest significantly on all things online, particularly telecommunication and media companies. [Investors] were looking for content and merchants such as ourselves and we benefited from the exposure by being associated with them and the web. How did you meet your Singaporean business partner, Ryan Chioh? We met almost a decade ago through other members of his family and his team. We discussed the possibility of operating Roses Only in Singapore as far back as 2003 and we kicked off operations a decade late in 2013. He is the best partner I have ever had. We trust and respect each other’s actions and thoughts. What more can you want in any partnership? What is your secret to managing a global brand that spans from Australia to the US? No sleep! And having amazing people around me and amazing partners that share the same work ethic. What is the biggest challenge facing the floral industry? Having to continually educate the world about the giving of flowers, particularly roses — a classic gift for thousands of years. There isn’t a global industry body that can come together and articulate that it does not cost the earth to tell someone that you love them, care for them, or that you are thinking of them. Not many gifts can pierce someone’s heart like the receiving of roses. To be honest, I can’t explain it but I’ve seen the effects. 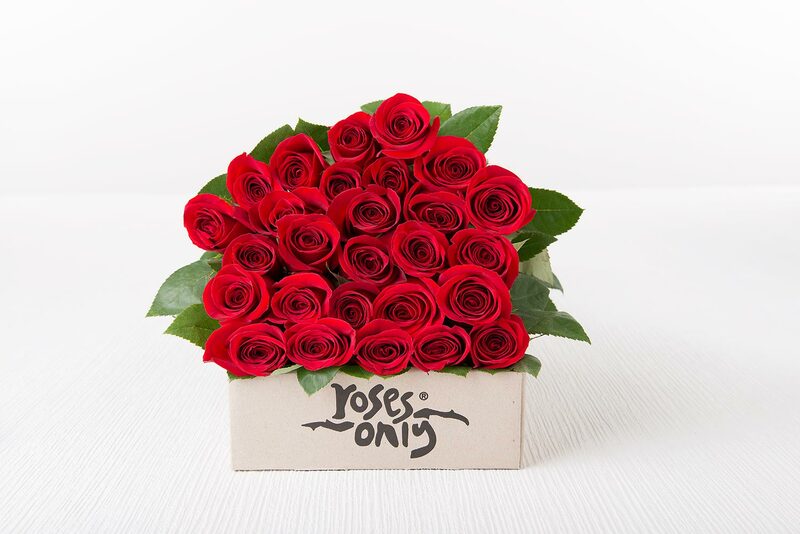 What is an example of a ‘just because’ occasion for you to buy roses for friends or loved ones? There is no example, as it’s not about an example. It is ‘just because’. Just because I’m grateful. Just because I like to see you happy. Just because I want to see a smile on your face. Just because I like the room looking pretty. Just because I care, I love, I’m concerned. To date, what has been your professional highlight? My professional highlight would have to be the global footprint that Roses Only has now. Being able to deliver a fresh classic gift with same day delivery capability in Singapore, Hong Kong, London, New York, Los Angeles, and Australia. We also can deliver next day throughout the UK and the US. If you asked me two decades ago that the brand would be in four continents, I would have laughed. The job is not finished yet! Merely the foundations have been laid to continue growing a global luxury roses brand. I look at everything with a philosophy of “Built to Last”. We are not about making a quick buck. James Stevens answers: Three principles you live by? “If you have built or raised something properly you typically will be leaving behind a brand or children that will go on being trusted and respected in their own right.